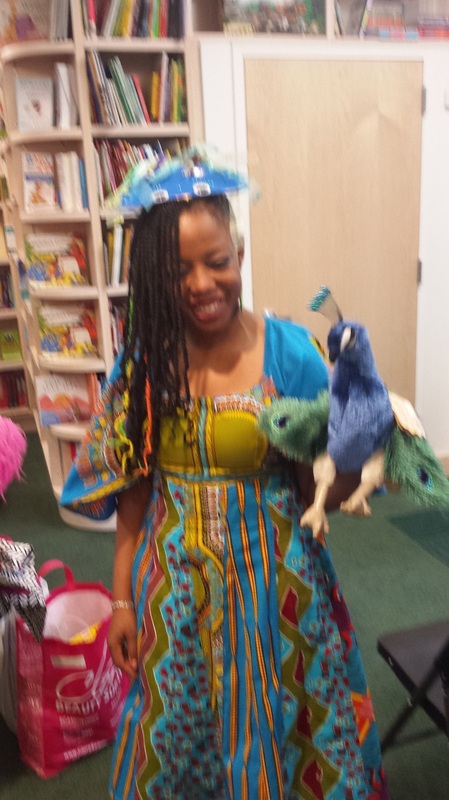 CONGRATULATIONS Malaika of Toronto winner of the MALAIKA'S COSTUME CARNIVAL PEACOCK CONTEST. The winning name is MALIK The peacock. 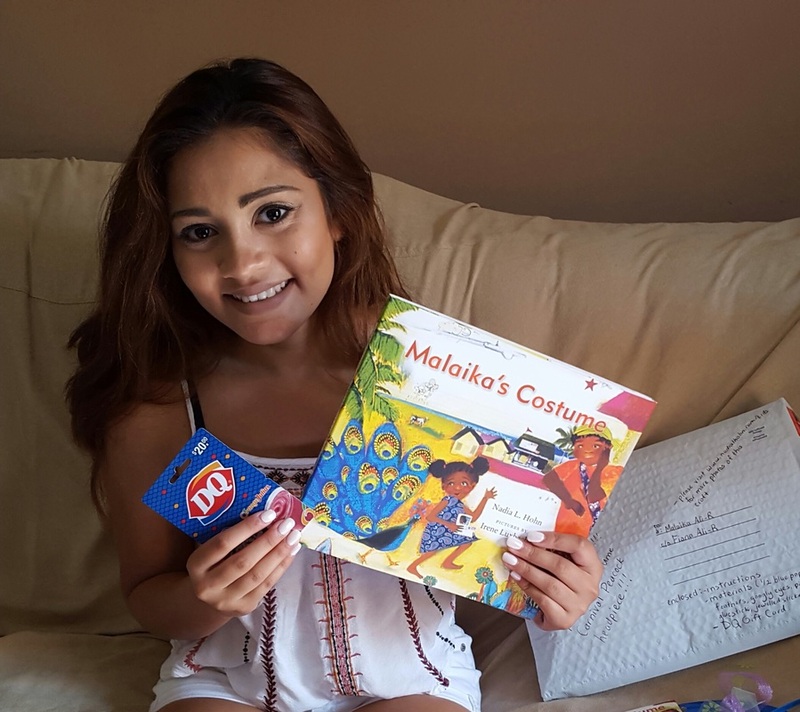 - an autographed copy of "Malaika's Costume"
It is a coincidence that Malaika has the same name as the little girl in Malaika's Costume. (Same spelling, too.) Enjoy!! !